← 353 "A Star Is Torn"
Thank God It's Doomsday is the nineteenth episode of season 16. "Homer hears about the Rapture, and by using numerology to calculate when the Rapture is coming he learns that it is only one week away." Bart and Lisa go to a barbershop labeled Da Buzz Club, but their haircuts go horribly awry, and they're forced to hide with Homer from school photographers from Springfield Elementary inside a movie theater. The theater is showing a Christian movie called Left Below. After watching the movie Homer thinks that the Rapture is coming and gets frightened. Marge and Lisa reassure him which comforts him into thinking that it won't come. As Homer is drving the very next day he thinks he sees the Devil, which is an man in an advertising costume. This thought process is reinforced by "the Devil" saying "follow me...uhhh" which was actually the man telling Homer to follow him into the restaurant he was advertising. Homer then sees blood falling from the sky, which is actually an injured whale being carried by a helicopter. Because of seeing those two things Homer convinces himself that the rapture is coming. He tries to estimate the time and date, by using methods which don't make sense, and it thinks it will come on the 18th May at 3:15 p.m, which is a week away. Homer goes around Springfield telling everyone about this but they don't believe him. He then says that the stars are going to fall from the sky. This actually happens as there is a blimp accident at "Krusty's Celebrity Salute to Specials". 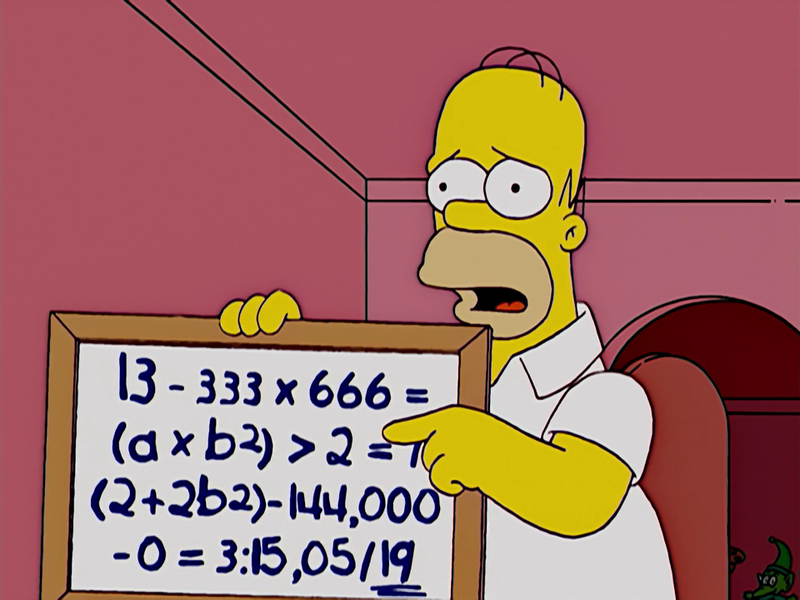 This makes everyone belive Homer thinking he has actually foreseen this event. His believers follow him to the Springfield Mesa awaiting the apocalypse. However, 3:15 soon passes and nothing happens. This annoys everyone in town. 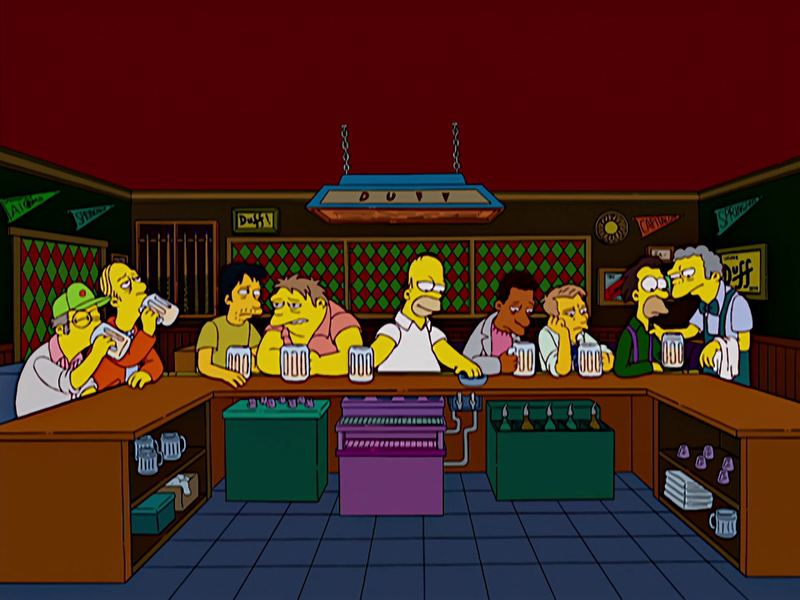 Including Moe who sold his Tavern to a Japanese Sushi bar. Homer, now upset, goes home and throws away all the books on how to predict the future. But realizes that there was thirteen people at the Last Supper, not twelve (as he used this as a way of predicting the Apocalypse). This means that the Apocalypse will happen late at night on May 19; not in the afternoon on 18 May. Homer tries to convince his family to help him warn everyone again but they don't believe him. Homer, alone, makes his way back to the Springfield mesa and when the hour passes he thinks nothing is going to happen again. However, the next moment he is naked and floating through space. Homer is in heaven with a tourguide, which gives him some clothes, much to Homer's dismay. They fly pass a few heaven houses where Homer sees a waterslide which can't be used for another year due to Leprachaun labour. Homer is told by the tour guide that all his wishes will come true in heaven. Homer wishes that the tour guides head explodes and it does. Because no-one followed him to the mesa, they are being tormented by the Devil. Homer asks to see his family on the big screen TV and wants to save them so he goes to see the Lord. The Lord refuses to help him because Earth is where Jesus suffered. Homer threatens the Lord saying He has made a very big mistake and made a powerful enemy. Homer goes on a rampage around Heaven to change the Lord's mind but gets stopped by security. The Lord then agrees to undo the Rapture and turns back time. The Lord says "Deus ex machina". Homer wakes up the Mesa and is reunited with his family but thinks its a dream. But when he sees Moe's Tavern has been restored he starts to doubt this as he wished it was back in Heaven. He then enters the bar and sits in the center making the scene look like The Last Supper. 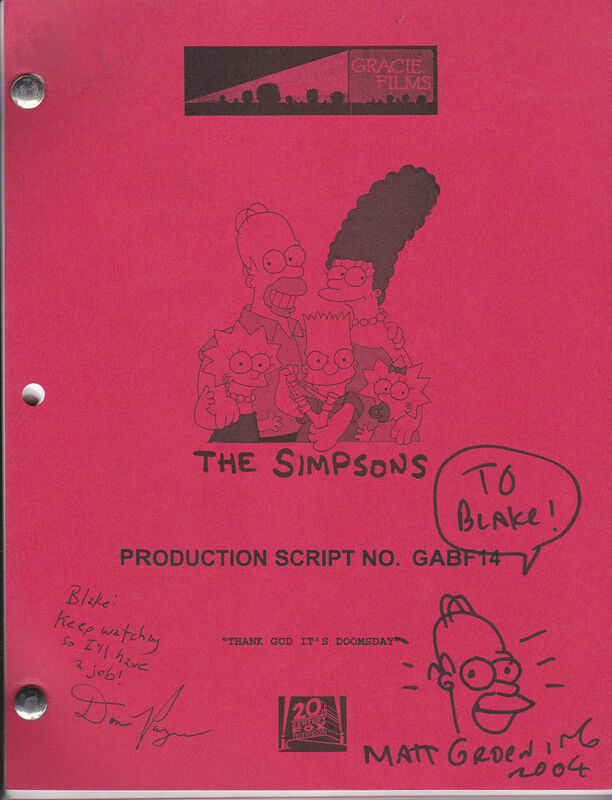 The episode originally had a scene where a Puerto Rican hairdresser asks Lisa if she's got a boyfriend, to which she replies that she's got a crush on 'a third-grader who reads at a fifth-grade level'. The woman says that he 'sounds like school dance material'. Modified on July 15, 2017, at 08:34.